Shawna and Myke’s fall wedding was a memorable one for us. For starters, Shawna and I have been friends for some time. Secondly, their day was all about their union. This couple opted not to have a bridal party but instead to simply have close friends and family there to witness their vows. No obligations, just love. And for bonus points – their adorable dog Cliff was their ring bearer, and he proudly displayed their actual rings on his collar and brought them to the altar for this bride and groom. So sweet. 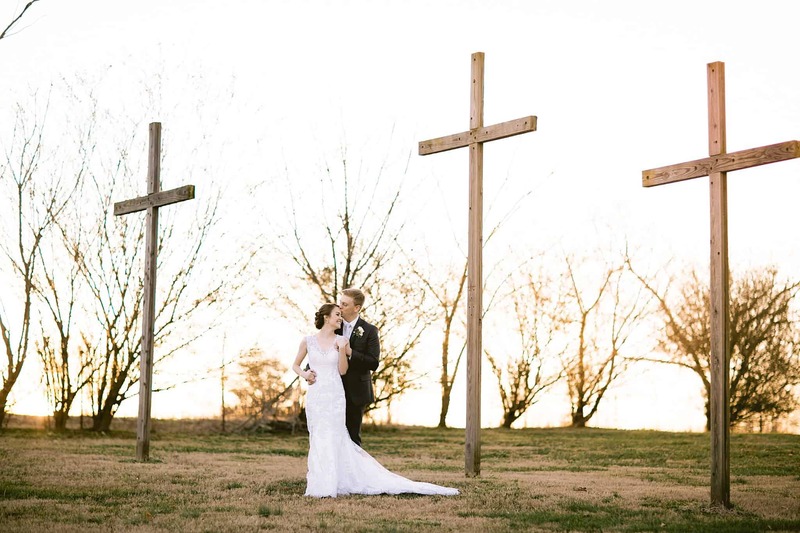 This October outdoor wedding was a chilly one, but the atmosphere was so relaxed and full of support for these two. After the sun set and everyone gathered under the tent for dinner and cupcakes (and the much needed heaters), there was nothing but smiles and laughter, and we were so glad we had the pleasure of documenting it. I can’t resist telling you – this bride was actually messaging ME here as I’m taking her picture. Here I am thinking she’s texting her groom. Nope, just messing with her photographer. Shawna, I love your goofball ways. I LOVE Brandon’s shot of Myke’s adorable reaction (below) This one is going to be a canvas – I can feel it! I don’t always do this, but Shawna and I agreed we had become like sisters as we prepared for her wedding. So, a sister shot 🙂 We were sent home with some of these cupcakes (and Stroud’s Palmer Tea) – the way to our hearts right there. Delicious! Congratulations you two – we look forward to seeing you soon!